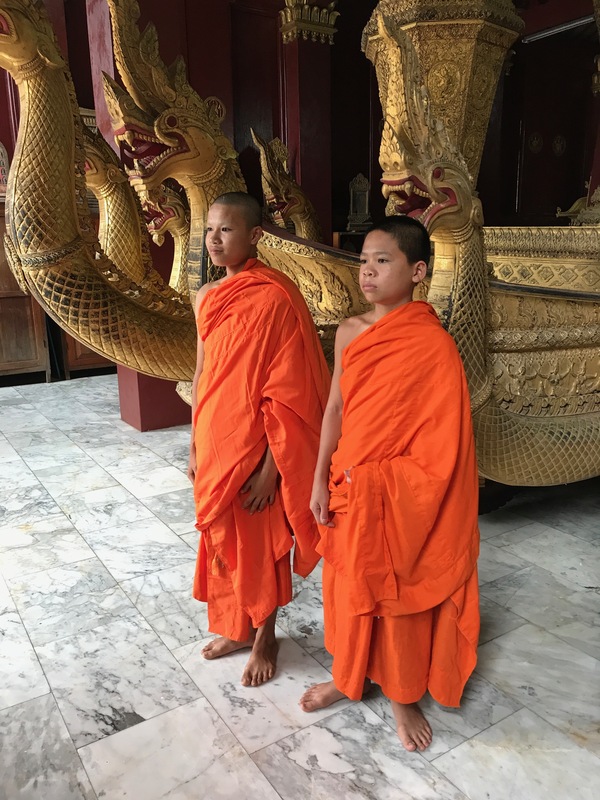 I had the opportunity to visit Laos on a recent educational trip to Southeast Asia, and have personal insights and suggestions on what not to miss in Luang Prabang! Gilded Wats, Saffron Clad Monks, cascading waterfalls and arguably some of the best food in South East Asia, the ancient town of Luang Prabang is often described as the Jewel of Laos. Luang Prabang is the perfect place to see one of the most sacred traditions in South East Asia, the Buddhist Alms giving ceremony.As the sun rises 200 Buddhist monks leave their temples and gather in the main street to receive their alms. Be sure to arrive early and buy your food offerings the day before as you don’t want to disturb the ceremony. 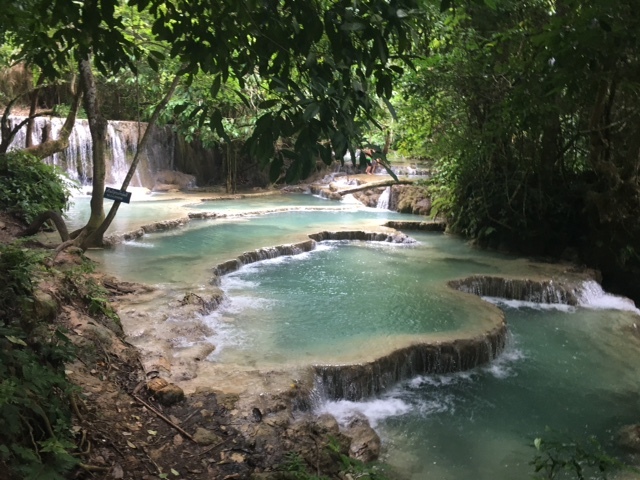 One hour outside Luang Prabang is the beautiful Kuang Si Waterfall and it’s surrounding pools. The waterfall is made up of three tiers of the most brilliant jade green and turquoise colored water. The color comes from the calcium carbonate found in the travertine limestone surrounding the falls. It’s a fantastic place to swim so bring your swimsuit and if you want to hike in the region, bring a solid pair of shoes as the surrounding area is slippery. Spend the morning on a living farm, learn how rice is grown and experience life as a farmer. The Living land company employs locals, some with low educational achievements as well as ethnic minorities from remote villages.The Farm grows local vegetables, herbs and rice and sells their goods to local hotels and at local markets. 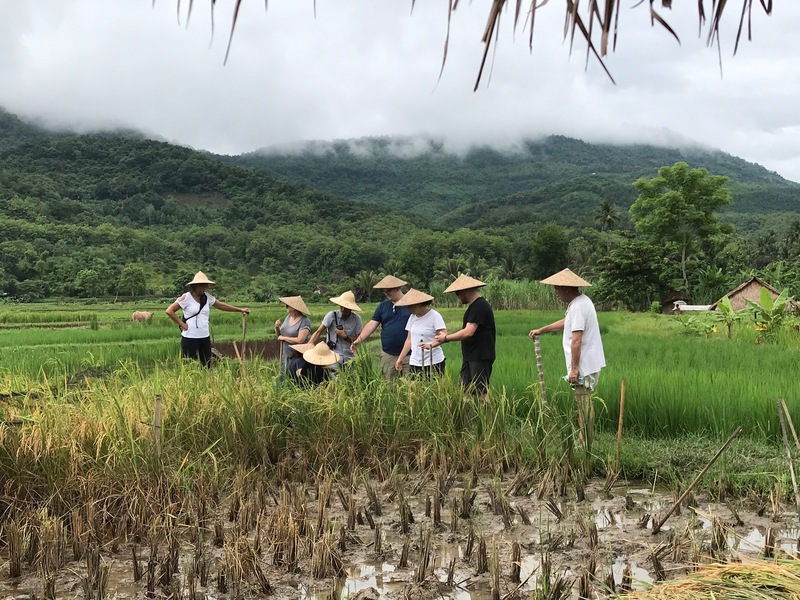 It’s a fun and educational experience - you can try your hand at planting rice,, ploughing the fields with a water buffalo and harvesting the rice. 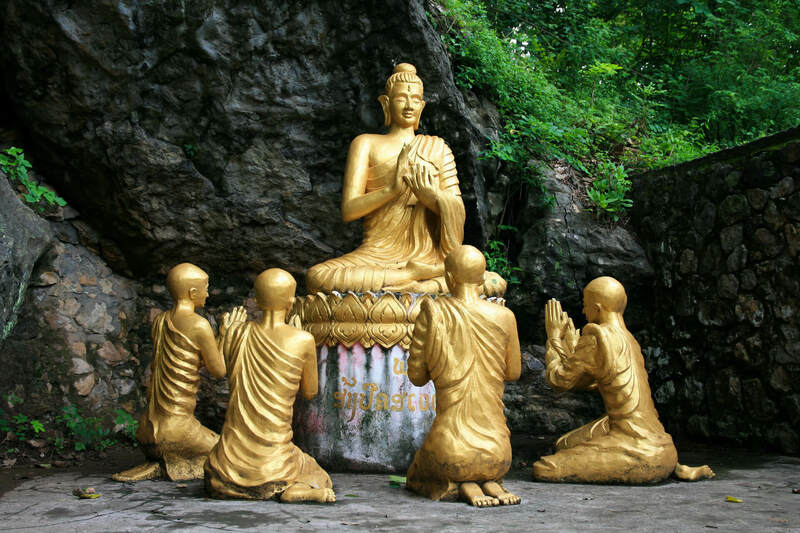 Known as the Sacred Mountain Mount Phousi in located in the center of Luang Prabang. It’s 300 plus steps to the top and one of the best places to watch the sunset over Luang Prabang and the surrounding countryside or the sunrise over the Mekong depending on which time of the day you climb it. The climb is easy enough for any-one who is in reasonably shape, at the top you can pray and make offerings to the various temples as well as see the enormous footprint of Buddah. The moto at the Ock Pop tock weaving center i s “created by women, run by women – for the women of Laos”. The weaving center was founded on the principles of fair trade and sustainable business practice and a must see on any visit to Luang Prabang. Starting out with five weavers the group has grown to more than 400 artisans throughout the country. 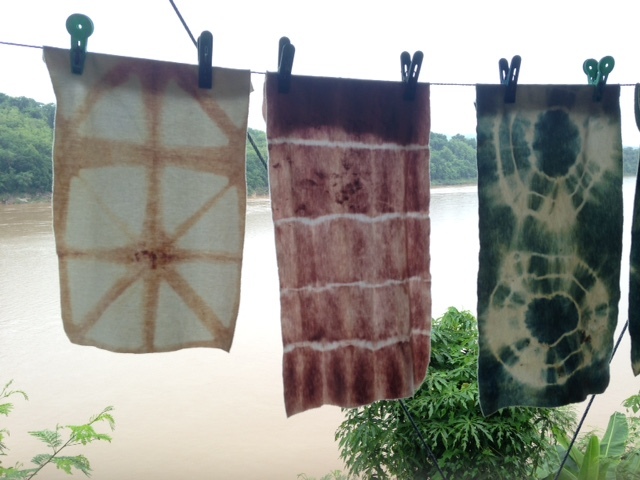 They have been able to provide livelihoods for hundreds of artisans in and around Luang Prabang. A team of designers assists the artisans showing them how to make a better living from their skills. The shop on site is one of the best places for handmade textiles. I would love to help you design the perfect trip to Laos, and anywhere else in South East Asia you may be looking at!